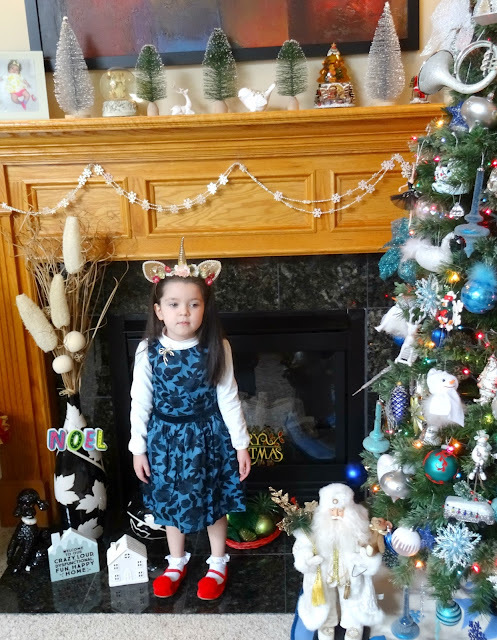 Vivian's Holiday Style: Blue Rose Dress and Touches of Velvet. 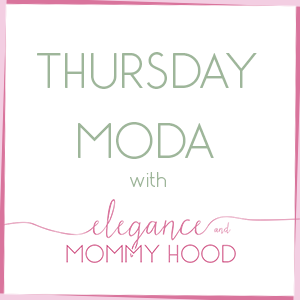 This month I will be sharing a few Holiday Looks of Vivian's also including a couple Mommy+Me posts. Today's outfit is what she wore on Sunday to church. I love that it is not a typical fancy toddler dress (like plaid, buffalo check, red, tutu, tulle or something sparkly in white, gold or silver). This dress is in a navy floral print instead and I love the velvet sash on the waist. It is by Carter's and I purchased it at the end of the Holiday season last year. 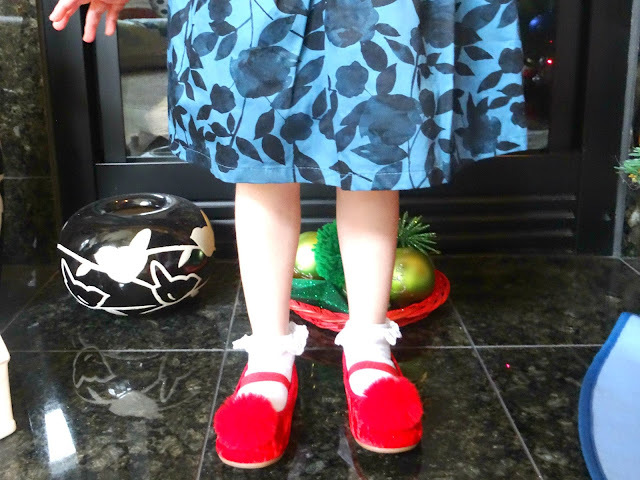 Adding more touches of velvet to the look, we have on her New Fancy Red Ballet Flats with furry poms (by Cat and Jack's Children's line) which she paired with her White Frilly Ballet Socks. 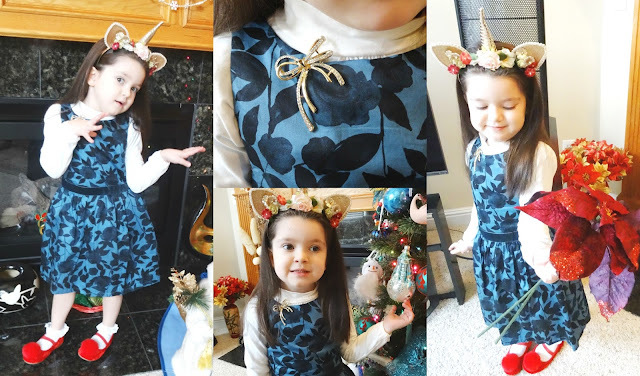 Dressing up this Holiday Look, Viv wore her gorgeous Unicorn Floral Crown by Charming Charlie and I added one of my brooches to her cute dress. I have had this Bow Pave Brooch for about a year of a half and it is feminine, dressy and beautiful. It dresses up an outfit right away! I cannot believe that Vivian will be 5 next month. 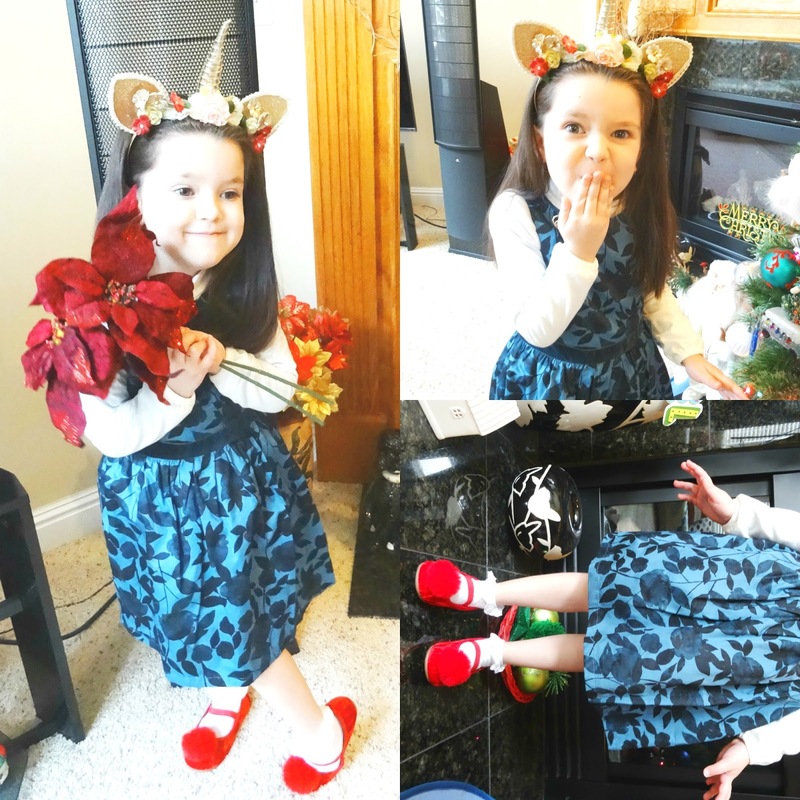 This little girly girl who loves dresses and fancy shoes (ballet flats) is quite a poser too, as all these photos show. Her sparkly, talkative, independent, sassy, very bright+merry personality definitely shows in all of these photos. And her outfit featuring a Beautiful Navy Floral Holiday Dress is just the icing on the cake. The deep blue is not a typical holiday color but adding pops of red and white to the outfit, definitely makes it festive and Christmas-ready, don't you think?! I just love my little princess so much and all the poses she did here. Future fashion blogger in the making?! Navy Rose-Print Sleeveless Dress w/ Velvet Sash: Carter's (New). Off-White Mock Neck, Long-Sleeve Tee: LC Waikiki (New+Gifted). Gold/Magenta/Burgundy Unicorn Floral Headband: Charming Charlie's (New). Gold Metallic Bow Pave Brooch: The Limited (Mommy's). Red Velvet Pom Pom Mary Jane Ballet Flats: Cat+Jack via Target (Identical). My Vivian rocked the blue for the Holidays. Her dress is the perfect Fancy Holiday Dress for the Christmas season. It can be worn to church, a fancy school party, New Year's Eve dinner out or even a Winter Wedding. And speaking of Winter Weddings, I am showing you what to wear to a December (Holiday-ish) Winter Wedding on the blog, tomorrow with my Blogger Babes from The Holiday Series. On the widget below I found a bunch of awesome Fancy (and not-so-fancy) Dresses for little girls, all priced right at under 40 bucks. And of course I couldn't forget some Cute Holiday Shoes to pair those gorgeous little dresses with (all under 30 bucks!!) You can find a lot of these pieces at Carter's, Old Navy+Gap or Target too - all places I shop a lot for Vivian. Enjoy and Happy Shopping for your little girls!! 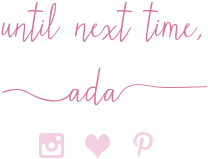 Coming on this blog this week: a couple of Gift Guides, a Festive Winter Wedding Look collaboration with my fellow bloggers for "The Holiday Series", a Mommy+Me post, part two of my Christmas Home Tour and more. Stay tuned fashionistas and stay warm out there. Many states have a lot of snow this week!